Backup Office 365 Files: The working system of the software is that it backup the Office 365 data by exporting it in PST file. The data remains in PST format and whenever required it can be restored by importing PST to Office 365 or Exchange without MS Outlook application. Backup Exchange Server Mailbox: Whether you have account on hosted Exchange Server, On-Premises or Online Exchange the software works with all. So, there are no limitations and the data can be restored in same manner. 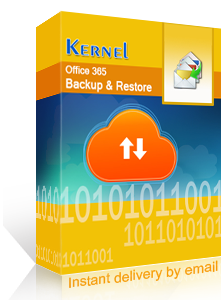 Export All Office 365 Mailbox: This highly advanced software has the potential to backup data from all Exchange mailboxes i.e. user mailbox, archive mailbox and shared mailbox. Office 365 Groups and Public Folders can also be exported and save in PST file as a part of backup. Selective Backup Options: Most of the time, user backup only important files and folders to save space. 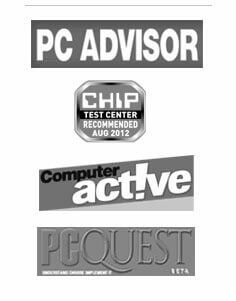 In order to implement this, the backup software allows filtering of data on various parameters like date, item type, attachment, email ID. When these filters are applied only specific files appear that can be back up quickly. Incremental Backup: If the backup is already taken and want to backup files again then select the incremental backup. By selecting this option, only files changed or added after previous backup will be saved in PST file. Moreover, its smart engine avoids empty and deleted folders while creating backup. This makes the process faster. Multiple Mailbox Backup option: Office 365 multiple accounts get backup with the help of CSV file. The details of Office 365 and Exchange accounts are added in CSV which is then uploaded in the software. The software establishes links with accounts by details in CSV and backup them simultaneously. More than one backup process runs in parallel to other and save files reducing the over-all expected time to backup files. Restore Data to Office 365: The software restore the items in Office 365 account by importing the PST file. Map the PST file to corresponding Office account and restore data easily. Here, the tool does not require Outlook application, it only needs PST file and Office 365 user credentials. Generate/ Save/ Import/ Export files: All the process executed by Office 365 Backup software is saved in the log file. After the completion, user can check the number of items backed-up or restore. The log report can be saved in CSV format.